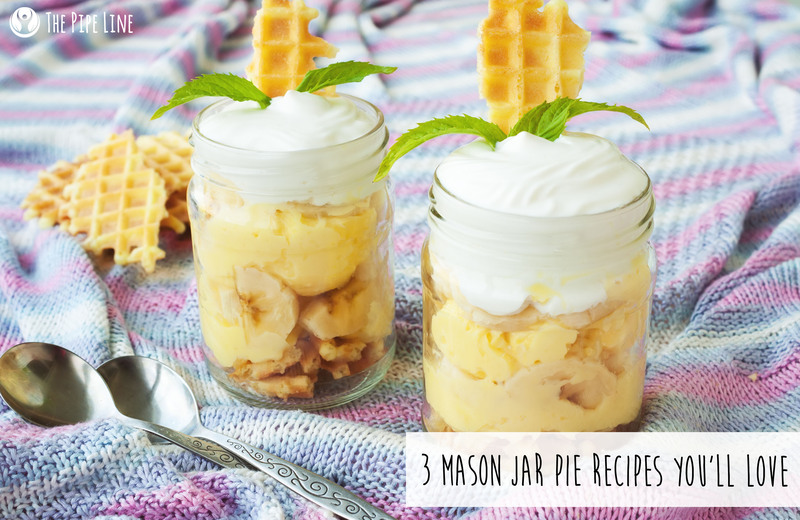 3 Mason Jar Pie Recipes To Satisfy Your Sweet Tooth! Let’s face it: We all love a good pie. Yet, they aren’t the most convenient dessert for us to have. Which up until now has proven to be a total bummer. Needless to say, all that is changing…today. These mason jar friendly desserts are the perfect to-go versions of your favorite pies. Not only that, they are definitely healthier versions as well! So, that’s basically an all around dance-worthy moment. For all the following recipes, you’ll need to have a mason jar handy. If you don’t have, you can use a Tupperware container (though, it won’t be as pretty, and the serving may be more than for one). For those of you that have an undying love for chocolate mousse, we respect you and as such, this recipe is an ode to the sweet of your choice (with a healthy twist). +First make your avocado mousse by blending all ingredients (avocado, cocoa powder, honey) in your food processor until creamy texture is reached. + Next, it’s time to layer your jar to get a pie! + Place some mousse in the bottom, layer with graham cracker and chips, follow with more mousse—repeat until jar is full. +Scoop and enjoy or refrigerate for later use! Is it just us or does a banana crème pie bring back memories of childhood? The fluffy, smooth texture always gets us and is 100% yummy as can be. Here’s the way we can make it and not feel *as* guilty eating it as an adult! + This recipe requires no prep outside of the wafer-crumb-making! 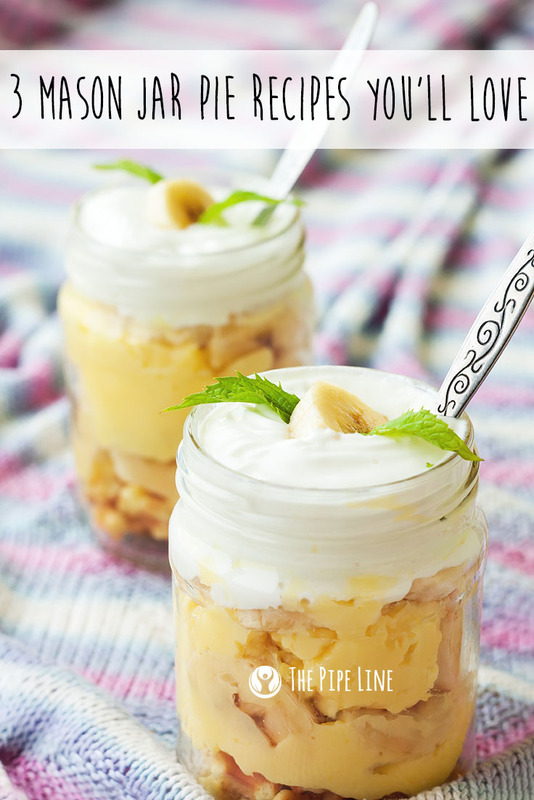 Simply add in a layering motion the vanilla Greek yogurt, followed by wafer, banana and cool whip until you reach the top of the jar! + Scoop and enjoy or refrigerate for later use! + To make the pie “filling”: Mix together the cream cheese, milk, lime juice into a creamy texture. Place in the refrigerator to be chilled for 10-20 minutes. + Once chilled, remove and layer: first pudding, then graham cracker, some cool whip…so on and so forth until you reach the mouth of the jar! There you have it, portable twists on your favorite pies! Have an idea for one yourself? Share it with us below!